The Dora Hotel Zagreb offers accommodation in Zagreb that is only a ten-minute walk from the center of the city. The hotel puts guests within easy reach of many of the hotel's attractions, such as the Lisinski Concert Hall and the Zagreb Fair as well as plenty of restaurants, entertainment venues, and businesses. Guests of the Dora Hotel Zagreb can get around Zagreb easily on foot or by public transportation. 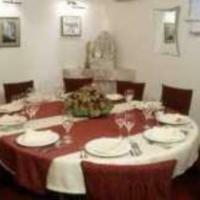 This hotel offers several types of rooms, including triple rooms, single rooms, and apartments. All the rooms in the Dora Hotel Zagreb offers televisions, telephones, dial-up Internet connections, and air conditioning. This hotel offers guests interesting surroundings and modern amenities. The hotel features a roofed summer terrace where thirty people can relax in nice weather, and guests can also make use of the hotel's two banquet halls, which can seat up to forty people for any type of event. The Dora Hotel Zagreb also offers an on-site cafe where guests can order coffee and light meals. The hotel also offers services like laundry services and 24-hour reception.